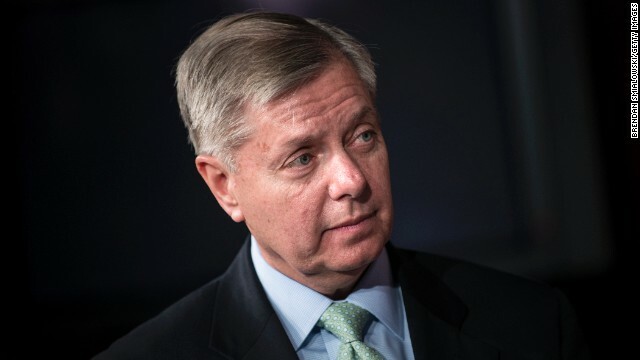 (CNN) - South Carolina Republican Sen. Lindsey Graham clarified comments he made Thursday in which he called New Jersey Gov. Chris Christie a "bully." Graham told NBC News that New Jersey's unfolding bridge scandal furthers a "troublesome" narrative about Christie, calling the governor “kind of a bully.” Graham told CNN those comments were made before he saw Christie’s news conference in which the governor apologized for the political payback scandal and continued to insist that he had no knowledge of his aides' actions. “I finally got to see portions of the news conference. I’m very impressed with the contrite nature in taking responsibility. In today’s political environment it was a breath of fresh air and I think he handled it as well as he could," Graham told CNN. Emails that emerged this week bolstered suspicions that last year's lane closures to the George Washington Bridge that caused mass havoc on the first day of school were a form of political retaliation against the town's mayor, a Democrat, who did not endorse Christie's reelection, by staff in the Christie administration. Christie is seen as a likely 2016 presidential candidate and the scandal could make his path to the White House more difficult. In his comments to NBC, Graham, who is up for reelection this year, also said Christie would have trouble winning votes in the South, pointing to the Garden State governor's more moderate stance on social issues. This guy is solo pathetic. Republican Tea Partiers and conservative purists can accuse Gov Christie of being a RINO and bully. Translation: Christy is the best we can offer. Senator Graham spoke how he REALLY felt and then (I believe) he received some phone call and was told he should soften his position. IT'S POLITICS...plain and simple. Yeah Lindsey – he is a real swell guy – didn't give a crap until the emails surfaced though – super guy! "contrite nature taking responsibility" while throwing his lacky under the bus. Good job Christie... now it is proven exactly who you are and the fact that you are no different from your republican colleagues who are "contrite in nature and taking responsibility" after they have been nailed to the cross. Graham doesn't know where to stand on most issues. He's part of the old guard, but tries to court the Tea Party extremists as well. Sort of like seeing your mother-in-law go over the cliff in your new Cadillac: Mixed Emotions. How Republican, "shoot first", ferret out the facts later. At least this weasel, is not in a position to start a war. What's surprising is that politicians are "impressed" when other politicians take responsibility for what their staff does! I own a business and I'm responsible for what all my hired help does while working for me. Is anyone impressed? Join the real world Graham. Graham is correct that Christie is a bully. His throws his political and physical weight around. It comes out sounding in a bully manor; like crude, crass man who has no tact when criticizing other people. Right now lawsuits are being prepared alleging intentional distress inflicted upon thousands. As boss and contractor Christie is the deer in the headlights. If I am Cristie's insurance agent I might be wondering the indemnity or liability. Another big problem for the guv is that in New Jersey and across the rest of the united states there are millions who sit fuming at traffic snarls. Motorists have long memories. Lindsey's backward moonwalk won't cut it. The Guns Over People tea potty are ELATED to see Chris Christie bite the dust. Can't wait to see the GOBP stuff Jeb Bush down the tea potty's throats 2012 Mitt the twit style. Beep! Beep! Beep! Gears engaged in "REVERSE". Sounds like the same gag order memo that was issued to the Republican candidates vis-a-vis not dog piling on Mittens has been issued in regards ot Christie. Fortunately nobody pays any attention to Ms. Graham's utterings anyways.